I am so glad we took the time to visit the Ute Indian Museum because I had never heard of the Ute Indians before. We learned all about their history, their arts and folklore, and their daily life. As we took our time wandering around, we were mesmerized by the beautiful examples of the fine bead work on a variety of items that Utes used in their daily life. We saw and amazing feather headdress worn by the chief just like what you might see in the movies, but this was the real deal. It was absolutely exquisite. 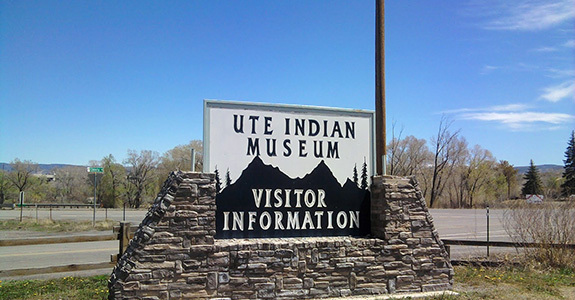 This museum actually has one of the most complete collections of Ute Indian artifacts in the nation. Dioramas, changing exhibits, and hands-on programs bring American Indian history and culture to life. We learned about the Bear Dance and many other rituals. My favorite were the amazing sayings posted on plaques throughout the museum. Outside, make sure you check out the teepees. This visit was made more incredible when we got home as Isaac who was 8 had to do a project on an in Indian tribe. He chose the Utes and gave an amazing presentation because he knew all about it! A DO NOT MISS!